The StrainBondTM solution has been successfully used in many applications across a variety of industries. The case studies illustrate how the comprehensive StrainBondTM solution has helped in sensor design, straingage assembly, and full sensor compensation, calibration and testing. Project: Provide a small sensor (a little over 3 inches in diameter) to measure swage press forces that would survive being placed directly in the jaws of the 300 ton press. Activity: Since almost everything placed in the jaws will be "smashed," a sensor was designed and built using a very high strength steel with a minimum amount of material removed to form an area to place the foil strain gages (gauges). 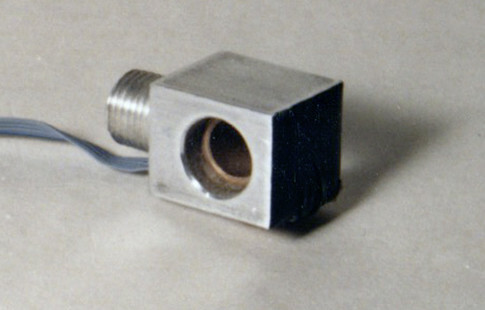 A sacrificial aluminum top cap was designed in order to provide a repeatable strain field in the sensor. A photoelastic model was used to determine and verify that a proper strain field would result. Project: Provide a means for dynamically measuring paper tension during operation. Sensor needs to be easily fitted to existing printers for performance testing. Activity: Force sensors were designed to support the axle of the tractor paper feed roller through nylon bushings. The sensor bodies were configured to be responsive to force in only one direction. The sensors at each end of the axle were shaped differently in order to fit within the existing printers. 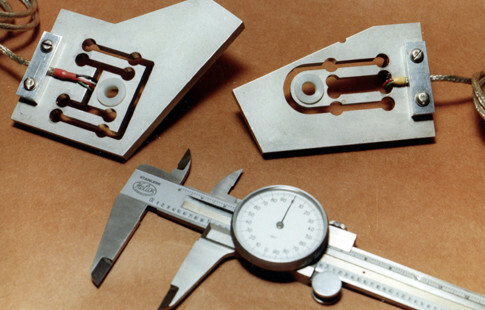 Foil strain gages (gauges) were bonded to the sensor bodies and the assemblies calibrated to provide a measurement of paper tension. The sensors were temporarily held in place on the printer body using C-clamps. This allowed the sensors to be easily removed and installed on another printer. Project: Install strain gages on existing Mill-Spec rod ends to measure tension and compression forces on actuators that steer the rocket exhaust nozzle. 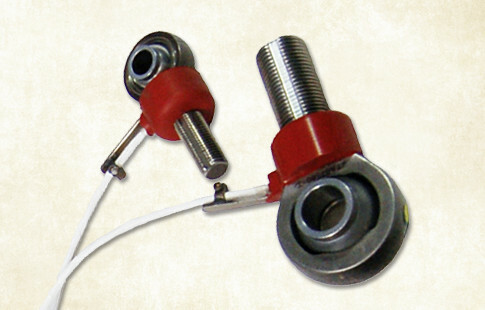 These sensors are used for both static and flight testing. Tension output is required to match compression output to within 1%. Activity: It was found that no strain gage pattern currently available could meet the accuracy requirements because of the shape of the bearing near where the gages were to be placed. 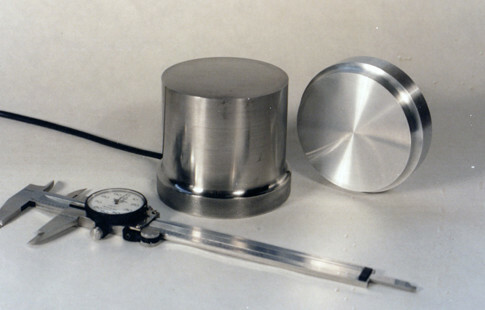 Photoelastic techniques were used to determine the strain pattern in the gage area. 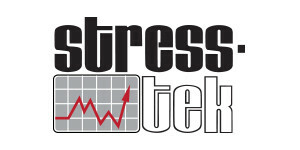 A custom strain gage pattern was then designed and manufactured to take advantage of the existing strain field. High temperature potting material and wiring was used to meet operational temperature requirements and the sensors were able to successfully pass all design requirements. Project: Supply a low cost force sensor to be installed in the end of an automotive shock absorber to provide real time load data. This information, along with stroke displacement, was used to calculate and display calorie burn rate and total calories burned for the workout. Activity: The sensor element was machined from high strength aluminum bar stock. A half bridge (2 element) foil strain gage (gauge) was bonded to the flat end of the sensor body and covered with a protective elastomer. 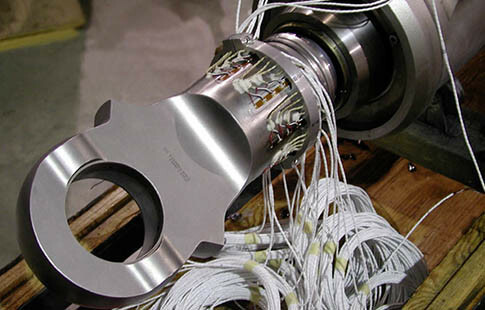 The gage size and design was specified to take advantage of the strain pattern on the end of the sensor. Project: Install strain gages on existing aircraft landing gear actuator to measure tension, compression and bending loads during take offs and landings. 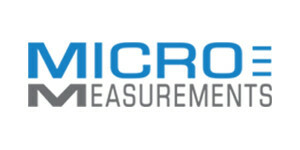 Activity: The first step was to obtain the well-known aircraft manufacturer's approval of our quality system and gage installation procedures. This was achieved and actuators were strain gaged on a quick turn basis in order to meet flight test deadlines.